Crowdfunding photography projects – how safe is your cash? 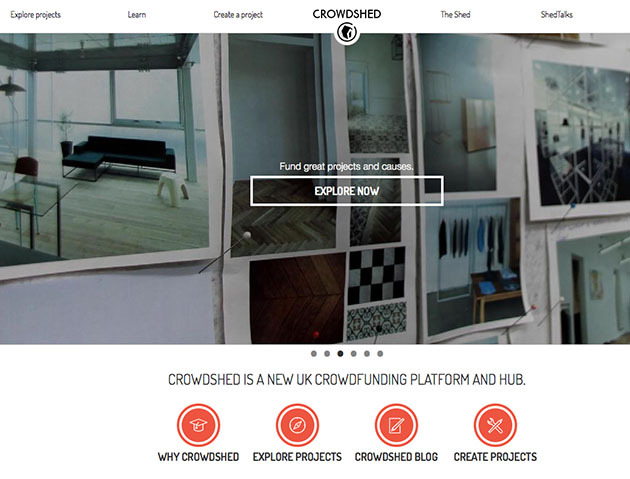 Many fledgling photography projects are funded using crowdfunding platforms. But how safe is your cash and what risks should you be aware of? It is easy to get hooked in with promises of being the first to get your hands on a new product, signed copies of a photography book or perhaps an invitation to a special event as a reward for making a pledge. But how safe is your cash and what risks should you be aware of when pledging money towards a crowdfunding project? Carolyn Burbridge, a technology and commercial lawyer, warns that backers should treat a crowdfunding project as they would any other financial services product and should be aware they may not get much, or anything, back if it fails. People who backed the Triggertrap Ada flash and camera trigger were this week made only too aware of what happens when things go wrong. The project’s failure left those who had pledged cash standing to receive just 20% of the venture’s remaining funds. The project raised £290,386 via crowdfunding website Kickstarter, almost six times its original goal. There was little sign of impending bad news when project managers admitted that the working prototype had cost five times more than expected, and that making any more of the product would cost three times the expected amount. This made large-scale production unfeasible, and so, Triggertrap pulled the plug. The decision came after company had already spent around 80% of its funding. Those in charge offered the remaining 20% – amounting to less than £60,000 – as partial refunds to the 1,971 backers. Triggertrap CEO Haje Jan Kamps said he understood the frustration of backers, and that the team was ‘gutted and ashamed to have failed to deliver’. Crowdfunding projects on the Kickstarter site appear to be, generally, of the ‘donation’ type. So, what financial comeback do people have when a project fails? Burbridge advises that people check whether a project is covered by the UK’s Financial Conduct Authority (FCA), a financial regulator. This is important because basic donation/reward crowdfunding projects are not covered by the UK’s financial regulator in the same way as an investment or a loan (see the examples below). ‘There are a number of large crowdfunding platforms out there but it will depend on that individual platform. You need to check exactly what they are covered by,’ urges Burbridge. If people are offered benefits such as concert tickets in exchange for their pledge, they are not lending money hoping to get some sort of financial return, and will be seen as simply donating money. Carolyn Burbridge, a partner at London-based law firm Swan Turton, explains the types of crowdfunding projects and the extent to which they are covered by the financial regulator, the FCA. This is generally not regulated as it is regarded as essentially giving a gift. At the most you might be lucky enough to get some sort of reward as a thank you – such as gig tickets or similar if you’ve helped fund a band. Where it’s an individual lending to an individual, it is called peer-to-peer lending, but can be loans to businesses too (peer-to-business). As of April last year, this became properly regulated by the Financial Conduct Authority (FCA). This has pretty much always been regulated by the FCA just as any other investment. Unsurprisingly, whether the backer receives anything when a project fails will depend on the specific terms and conditions agreed to. ‘When you are looking at the most basic crowdfunding model where it is essentially donation/reward, you are very much at the mercy, to a certain extent, of those terms and conditions,’ says Burbridge. It is possible the backer will be deemed to have accepted the risk involved by agreeing to the terms and conditions, and they may lose out if these have been fulfilled. Backers should also bear in mind that, as with an investment, the value can go down as well as up. ‘By the nature of the business you are usually investing in, something that’s a start-up may, or may not, work,’ Burbridge cautions. Another potential hurdle is that the crowdfunding platform in question may not be based in the UK. Kickstarter, for example, is based in the US where the local jurisdiction would apply. This means that people in the UK would ultimately need to go through a US lawyer, who may be more difficult to access, and therefore potentially more costly. To establish whether a case is worth pursuing through the courts in the first place, people should call the FCA’s consumer helpline (see below). And, even if technically they have a legal case, it may all come to nothing as ‘there might not be anything left in the [project] pot’, says Burbridge. ‘Ultimately, people need to start being aware that they need to sometimes think about these things like they would any other financial services product.